At Florsheim we have been crafting men’s shoes since 1895. Though the years, quality, value and service have been paramount to our success and we are proud to produce some of the finest footwear in the world. Today our men’s dress shoes and men’s casual shoes remain true to our heritage while staying one step ahead of the latest fashion trends. 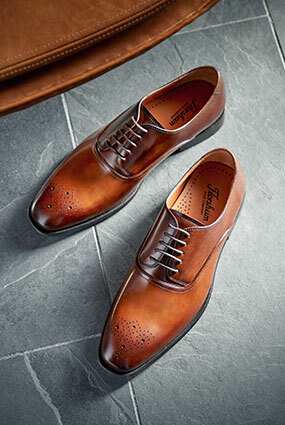 By mastering the craftsmanship of dress and casual shoes, Florsheim reinforces their reputation for quality and style. Florsheim's standard for excellence guarantees you will look and feel great. Sign Up for Exclusive Previews and Offers!